A new report from Marketo customers shows the top converting B2B marketing tactics. 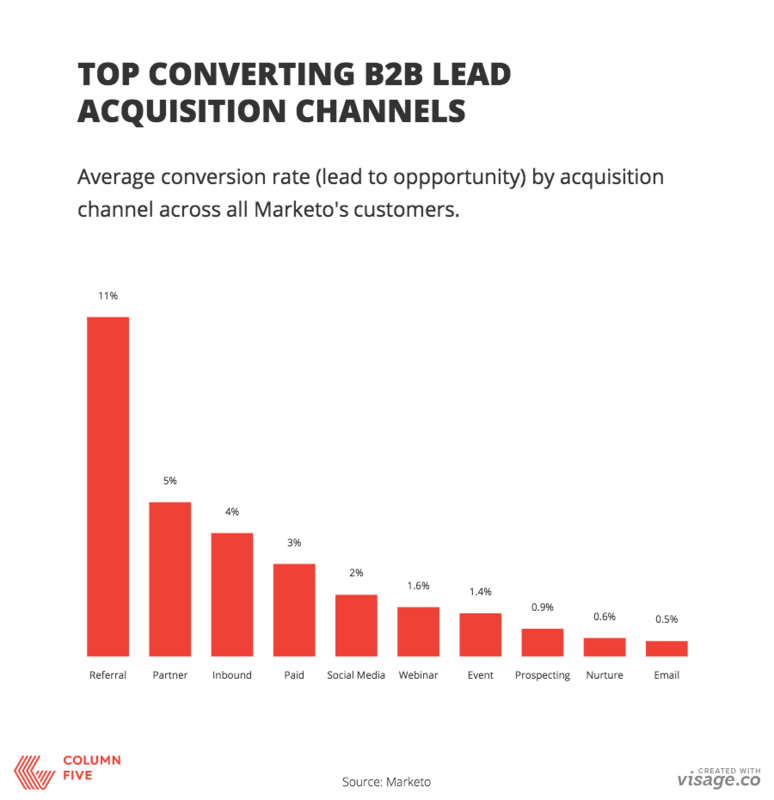 The chart below represents average conversion rate (from lead to opportunity) by acquisition channel across all Marketo customers. With referrals and inbound tactics showing the highest conversion rates, it’s easy to see why more companies are investing in content marketing strategies.